The Connecticut Huskies beat the University of Kentucky Wildcats on Monday night in a 54-60 bout that started off badly for the Wildcats, got better, and then got worse again. The Wildcats famously started off the season as the best ranked program in the country, then underachieved their way into an 8th seed, then rode Aaron Harrison’s hot hand into the NCAA Title Game. They did. 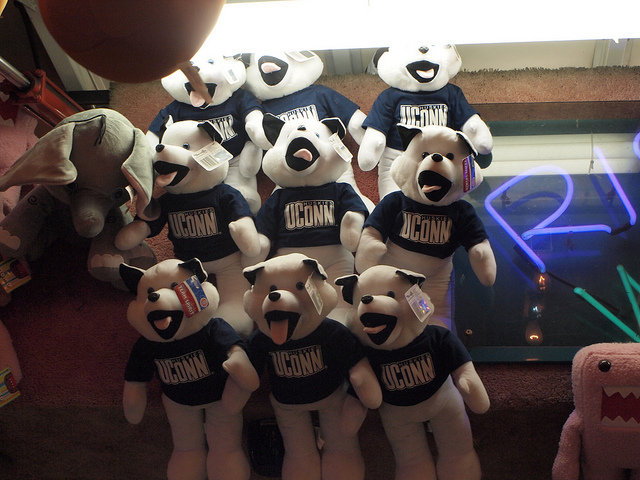 But the special weirdness for the 2014 UConn Huskies goes further than just being underdogs. They are, possibly, the strangest team to win it all in quite some time. At the very least, they’re pretty good for a couple of fun trivia questions. 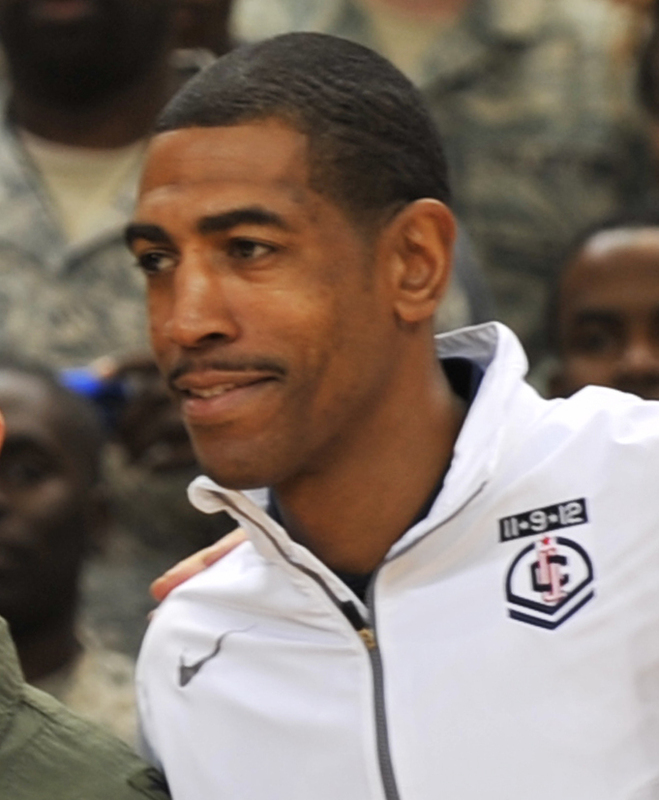 Not only has Kevin Ollie become one of the rare coaches to take a team all the way the first time he coached in March Madness, but he also provided the groundwork for the locker room ethic that powers one of the elite teams in the NBA, the Oklahoma City Thunder. Ollie, who played in the NBA from 1998-2010, was a professional journeyman — he played for 11 different teams in 18 seasons, never longer than 2 seasons after he left Philadelphia, where he spent 6. His last stop? Oklahoma City in the ’09-’10 season. Ollie, who played backup point guard to Russell Westbrook and logged 25 games with the team, left a mark on the squad that echoes to this day. When Kevin Durant sat down with ESPN’s Bill Simmons, he revealed that Ollie had been responsible for the shift in culture — a shift than manifested itself most visibly as the team went from 23 wins the year before to 50. While Kentucky’s victory would have been another kind of interesting historical one-off (they would have joined the 1985 Villanova squad as the lowest seed to have ever won the Tournament), UConn’s victory was the first of its kind — like you can see above. Not only was this a battle of the two lowest seeds in NCAA history, but the one that hadn’t ended up going all the way. 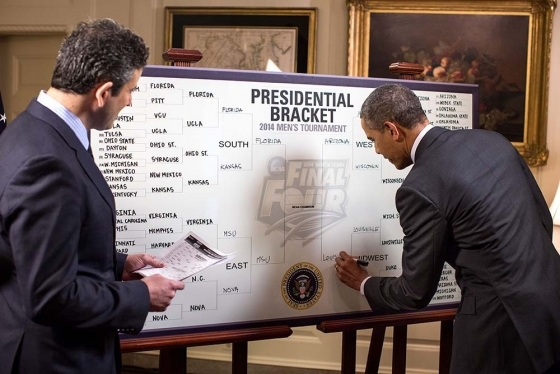 Since no one is ever going to get their bracket right, and no one was going to win all Warren Buffett’s money. This is probably a good time to bring up that UConn never trailed. Ever. They leapt out to an unfriendly 6-13 lead early in the first and even though Kentucky managed to shrink the lead all the way down to a meager point near the beginning of the second, they just couldn’t break through. The Wildcats, who were an 80 percent free throw shooting team during the regular season, bricked their way to just 50 percent from the charity stripe during the title game. That didn’t help. While we’re at it, here’s those goofy Taiwanese Animators’ take on the Final Matchup. It is the only recap you’ll ever need. That’s right — for all the heat the NCAA gets about the faux-education that some of it’s ‘student-athletes’ receive, UConn was banned from participating in March Madness last year because the team failed the NCAA’s APR, or ‘Athletic Progress Rate,’ which has nothing to do with the millions the organization makes off the backs of their unpaid workforce. The APR, which is measured out of a score of up to 1,000, pays attention to whether the students involved in sports are held in passable academic standing. Another interesting wrinkle — the UConn team that was banned were suffering for the decisions made by players as far back as 2007, players that the current team had nothing to do with. That, largely, is what seemed to prompt point guard (and Final Four most outstanding player) Shabazz Napier’s post-game outburst, which you can see above. That’s crazy. 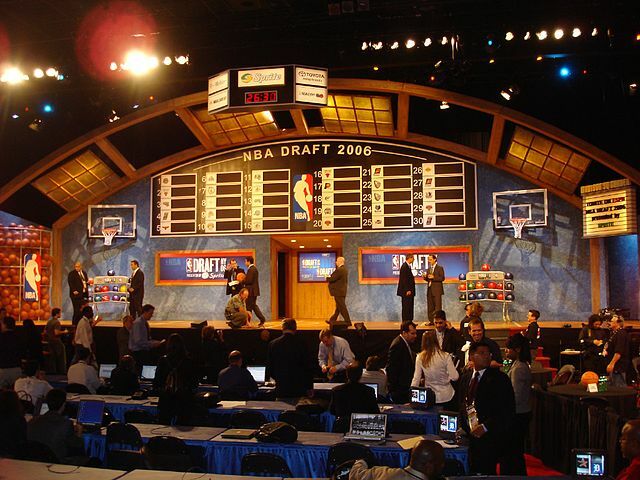 Compared to Kentucky, who lost — they have at least five players (Julius Randle, Willy Cauley-Stein James Young, Aaron Harrison, and Andrew Harrison) who will almost certainly be snagged in the first 30 picks — the Huskies have one. Maybe. That’d be Shabazz Napier, in case anyone was curious. So, congratulations to the 2014 NCAA Champion UConn Huskies, who have made history, and made the Oklahoma City Thunder a better team all at the same time. Good luck to you with your academic eligibility, and welcome back to March Madness.